Happy 128th Birthday, Cryin’ Sam Collins! 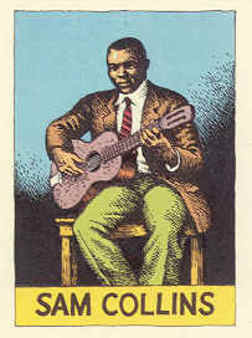 Born on August 11, 1887, Collins recorded “Do That Thing” on 8/27/1927 in Richmond. It appeared on Gennett 6307, Champion 15453, Silvertone 5131, and Superior 369. A royalty statement to Dennis Taylor indicated the Champion issue sold approx. 1,200 copies in 1928 . Video | This entry was posted in August, Champion, Gennett, Video and tagged August, Champion 15453, Champion Royalty Ledger, Cryin' Sam Collins, Dennis Taylor, Gennett, Gennett 6307, Gennett Discography, Gennett Records, Sam Collins, Silvertone 5131, Superior 369. Bookmark the permalink.